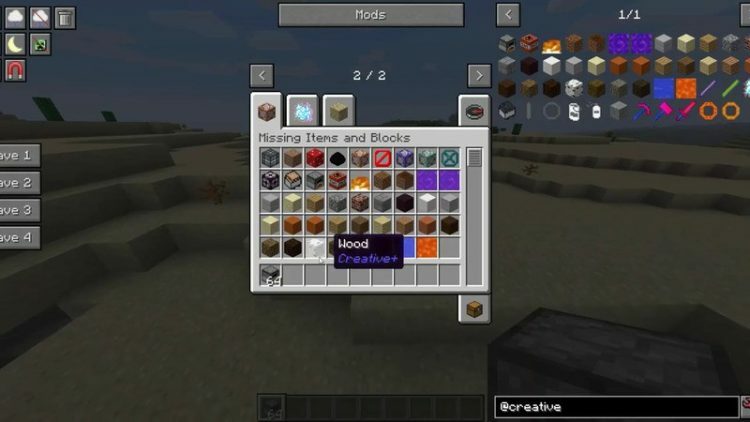 Creative Plus Mod 1.12.2/1.11.2 is a more advance version of Minecraft’s Creative Mode that adds new items and blocks that have never been seen in the Creative Inventory. 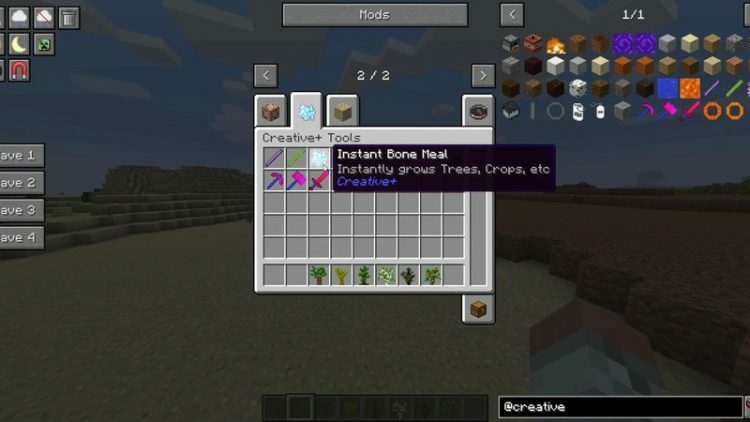 Creative Mode is a special mode in Minecraft, which gives you access to most items and blocks in the game and grant players special abilities like flying, rapid block breaking… the mode is mostly used for construction and creativity works rather than survival. 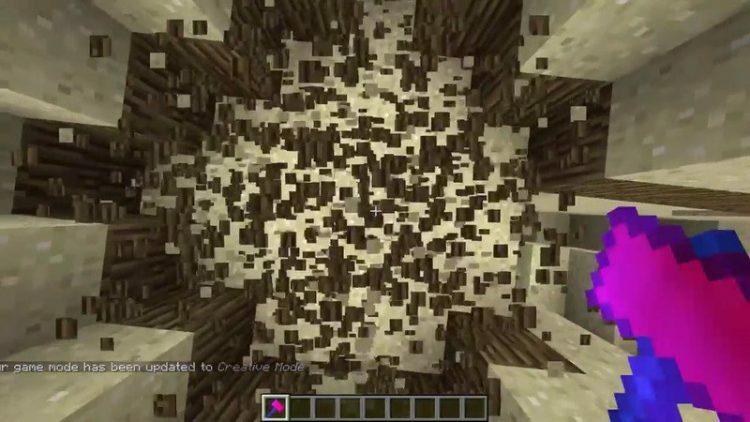 However, Creative mode in Minecraft is lacking some items and blocks. You may never see a six-sided wooden block or a smooth stone slab. In Creative Plus mod, you will be presented with many similar items and blocks. 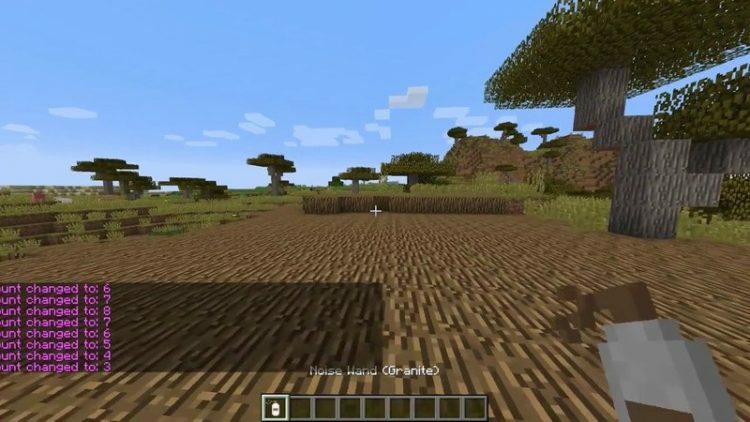 In addition, the Creative Plus mod also provides tools whose functions akin to the tools of the World Edit mod that players can use to quickly build buildings and terrain. You can download the latest version of the Creative Plus Mod from the link below and follow the instruction to install. Do not forget to check if the mod needs any additional mod to run. Happy gaming! Download Forge Installer, Creative Plus.jar file.